Many people are currently buried in debt, from high mortgage payments to owing large balances on multiple credit cards. Let’s face it, credit card companies have been handing out credit cards like they were candy for the past few years and now it’s time to reap what was sown. An interesting and related fact I came across the other day stated that 10-15 years ago, bank customers paid their mortgage first, then their credit cards. Now however, the reverse is true. Consumers would rather pay their credit cards first, and often let their mortgage slip. Why? Because many are literally living off of their credit cards. They are living so far beyond their means, they rely on their credit cards available balance to get by each month. Crazy. With a significantly down economy, a possible recession and even talks of depression, it’s time stop. The time has come to realize you can’t continue to live this way. The time has come to live on less than you earn, build an emergency savings fund, and start living on a budget. The economists can argue all the want about whether we’re officially in a recession or not, but if you are anything like me, you’re feeling it. My gas, food and utility categories over the past 3 months have slowly become more and more difficult to manage. Just last week, I ended up finally giving in and allocating more money to all 3. We increased the amounts in all of these categories by more than we needed. Yes, I said by more than we needed. I did this in anticipation of future rising costs. I’d rather go ahead and live now as though it’s a year later than have to continue to make multiple significant budget adjustments. Rather than wait until the old budget is wriggling and screaming in agony, go ahead and budget for possible future costs now. Increase your budget categories for gas, food, gas, utilities and others that you expect will increase over the next year. Doing so has the following advantages: As prices do go up you won’t feel the impact since you’ve already budgeted for them and until prices go up enough to hit your budget amount, you’ll have extra money to place in your emergency fund or payoff debt. At this point, some of you are saying: “But I don’t have any room in my budget to do this” or “Wait, I don’t budget”. My answer: “It’s time to make room” and “You don’t have a budget? You nut, start one!”. Making room in your budget is done in one of two ways: Cutting back on expenses or by increasing income. Sell that expensive car and drive something less expensive for a while. I did this about 2 years ago and haven’t regretted it once. Cancel all of those monthly memberships you may have. Again, these are just a few. 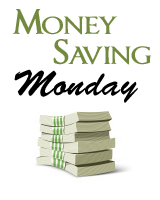 Check out my Money Saving Monday tips for many more ideas. I currently run about 5 different websites/blogs that generate alternative income for myself, and much of that goes straight against my debt. These are just a few things. Pinyo over at Moolanomy has a huge list of ideas for generating alternative income. You’re bound to find something that appeals to you. Now, be careful with the advice of increasing your budget categories. Remember, just because you have an amount allocated to a particular budget category, doesn’t mean you have to spend it all. Make it a game, see how low you can keep the spending in each category. Maybe even set-up a monthly reward system for yourself if you spend less than x% of the category amount. Have you recently made adjustments to your budget? What have you done to plan for the current down economy and likely continued rise of prices? Add a comment! I think that the global economy is in a state of denial and people are trying to talk up our prospects. People don’t like using the recession word but it is likely to come unless we act now. I agree with cutting back on the essentials and personally my priority would be reducing utility bills as these are rising more sharply than any other type, this means switching off aplliances rather than leaving them on standby, only boiling enough water for the drinks that you need rather than heating a whole kettle of water and altering heating or air conditioning temperatures by around 1 degree, which can save alot of money over the year. The fact people are paying credit cards first is sad, but true. I used to think this was soley because credit cards were the squeaky wheel, or because people are waiting on a mortgage bailout, but I agree with you – people are making payments to free up available credit to live off. 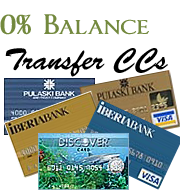 We’re going to wind up with many thousands of people with current Visa cards and no home. Sad. Of course, it’s all subjective depending on how you view ‘essential’ spending, but probably the best way forward is to combine the two actions, after all if you spend an hour on line making $50, you might find that you could have saved $100 in ten minutes by changing your electric company. I especially like the idea of making money with a second job. I will try some of your suggestions. Thanks! – I curl up with a good recycled newspaper I picked up or could possibly choose to get NetFlix for a few movies to watch a month. Great post! And soooo important! There is another difference between increasing income and decreasing expenses. Assuming you claim your extra income on your taxes (of COURSE you do! ), or that taxes are automatically taken out (second job, etc), when you work hard and make an extra $100, you don’t see all that money. First, let’s take away 30% for taxes, now you have $70. Take away 10% for tithing, you’re now down to $63 (assuming tithing off net just for this example). So you increased your income by $100, but now only have a little over half of actual money. Now, reduce an expense by $100. That’s $100 of new, available money. I’d argue that you’ll “make” more money (up to a point) by reducing expenses than increasing income. Alas, it does not switch up “sewer turd” (as cool as that’d be), but stands for Taylor University, my alma mater, and Drewser as a nickname from an old friend. Just wondering if you have to claim money from online surveys on your taxes. I guess it depends on how much you actually make. Anyone know? Technically, you are legally responsible for claiming it. However, based on how much you make, there may be no evidence. If you make enough from a single source, the’ll probably have to send you a 1099 showing the money you received, meaning you would have to claim it because the gov will have that 1099 too. Thanks! As long as I get something I can send in, I don’t mind claiming it. I just hate having to keep up with stuff if I don’t have proof. I would guess you’d probably have to get quite a bit of money from a single site before they’d send a 1099…as in, $250 or more as a wild guess. Yeah, I totally agree with you. Plus, I doubt I get that much money off of one single survey site anyway. Thanks for the help!